Brainmeasures Kaizen Certification and courseware is a collection of concepts and selected tools that are important to the mature application of the kaizen methodology. Most of them are motivated by questions asked by students, trainees and colleagues over the last decade in the course of our training and consulting activities in industry. You may be reading this online course because your team leader or manager asked you to do so. Or you may be reading it because you think it will provide information that will help you in your work. By the time you finish chapter 1, you will have a better idea of how the information in this course can help you and your company eliminate waste and serve your customers more effectively. Read testimonials to check what Brainmeasures certified professionals across the world have to say about the content and quality of BRAINMEASURES ONLINE KAIZEN MANAGEMENT COURSE AND CERIFICATION. Kaizen Management is based on the fundamentals of scientific analysis in which you analyze (or take apart) the elements of a process or system to understand how it works, and then discover how to influence or improve it (make it better). Lean management and production is founded on the idea of Kaizen Management, or continuous improvement .The small, gradual, incremental changes applied over a long period that adds up to a major impact on business results. WHO NEEDS TO KNOW KAIZEN (People who will benefit by being Kaizen Certified)? If you are a leader, CEO, President, Chairman, CFO, Team manager, operations manager, administrator, manufacturing supervisor, HR manager, Departmental manager, Engineer, Director, Coordinator of TQM, Six Sigma expert, lean expert, or if your company has not been doing continuous improvement, this will be a big change for you in many ways. As Kaizen Management grows in your workplace you will learn more and more methods for helping you understand your work, the machines and tools you use, and the relationship of your work to everyone else's in the ‘value stream’. As you commit to a Kaizen Management you will be ‘adding value’ and ‘reducing waste’ in the value stream. 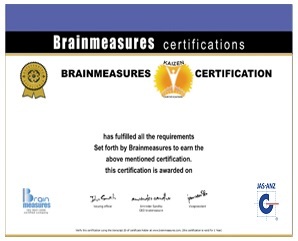 Brainmeasures presents its online KAIZEN MANAGEMENT COURSE leading to certification. It is the BEST KAIZEN MANAGEMENT training program available online at very affordable price. Brainmeasures KAIZEN MANAGEMENT courseware and certification is a complete information portal and A-Z guide that will help you learn all the necessary tools and techniques to KAIZEN MANAGEMENT To help you understand and implement kaizen Management for the success of your organization Brainmeasures presents its Online Kaizen Certification (comprising Best quality course material on Kaizen Management and certification exam). Keeping its tradition alive of providing quality course material, that would serve as immediate aid for those interested in knowing kaizen Management, needless to say that this Online Kaizen Certification (comprising of best quality course material and certification exam) is attuned to the requirements of all the interested readers of the subject. Brainmeasures Online Kaizen Certification (comprising courseware and certification exam) aims to provide a systematic introduction to kaizen Management; it attempts to strike a balance between theory and research findings. 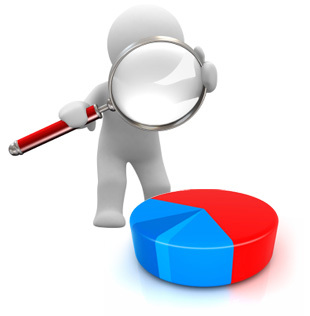 The emphasis on theory is balanced by detailed consideration of the findings of empirical studies. Special effort has been made to make this project practically viable as team Brainmeasures knows that in the real world you will be judged by your practical skills and not mere by your theoretical knowledge. The various aspects and issues of kaizen Management training have not only been conceptually analyzed, the analysis gains depth through its coverage of new advances made, the new paradigms developed and new perspectives and approach. Following are some important aspects of the Brainmeasures online courseware which has made it unique for Kaizen Management Certification preparation and training. Throw out all of your fixed ideas about how to do things. Don't accept excuses. Totally deny the status quo. Don't seek perfection. A 50-percent implementation rate is fine as long as it's done on the spot. Don't spend a lot of money on improvements. Problems give chance to use your brain. Ask "Why?" at least five times until you find the ultimate cause. Ten people's ideas are better than one person's. Learn how to discover ways to do what you do better. This Online Kaizen Certification and courseware was written to take you through the steps of conducting a very effective kaizen Management Training, one that is well-planned, well-implemented, and well-followed up. This Online Kaizen Certification is presented in an instructional design format to make the learning enjoyable and easy-to assimilate. 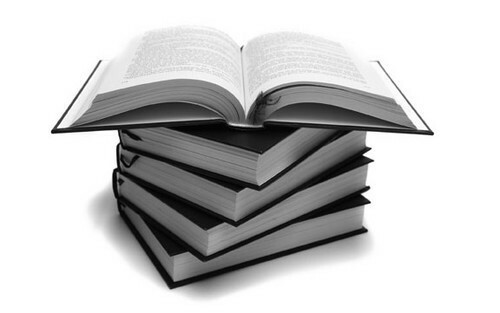 The introductory section, "Introduction” provides an overview of each chapter. Chapter 3 explains planning and preparation. Chapter 5 includes how to present your event results to the company, how to celebrate, and how to follow up the event. It is through good follow-up that you reap full benefits from the event. Chapter 6 presents a concise summary of event steps and furnishes resources for further learning about the kinds of improvement methodologies you might want to implement with kaizen events. Throughout this Online Kaizen Course, you will be asked to reflect on questions to help you apply kaizen Management to your unique circumstances. Numerous illustrations reinforce the text. Brainmeasures certification exam is based on multiple choice question format (each question has 3 to 4 answer options and you have to have to choose one or more right answer option).All questions of final certification exam will be based on Brainmeasures kaizen management course. 2. Jiro Kawakita, a Japanese anthropologist, created_______________. 3. Which of the following is used to display continuous data values? 4. The items below are all considered a waste except for one. Final kaizen management certification exam consists of multiple choice questions with one or more right answer options. 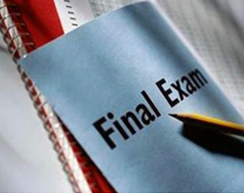 Final exam is based on Brainmeasures kaizen management courseware, if you have thoroughly gone through the courseware you won’t face any problem in clearing the certification exam. As soon as your payments are processed you will be given access to the Brainmeasures Online kaizen course and certification program. Take the test to earn certification; you can take this test within one year of purchase of your course. So, it's just the difference of five steps between an amateur and certified kaizen expert. of kaizen Management concepts and their implementation. certification more attractive to the readers. Brainmeasures online kaizen management certification is very competitively priced at USD 85 which includes both course and certification fee. It is a perfect combination of intensive and extensive knowledge on the subject. Designed by experienced faculty, it is complete guide and touches each and every aspect of the subject and will help you master kaizen management tools and techniques with perfection. Why choose Brainmeasures Kaizen Management Courseware and Certification. elements for a successful project implementation. level and in an organization-wide implementation. mature application and training of the Kaizen management methodology. 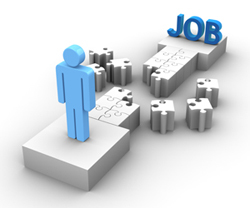 It is not very hard for kaizen professionals to find a job, simply type the word “KAIZEN” on any job portal and you can see thousands of job listings. Job prospects for certified KAIZEN professionals are bright both within and outside the organization as many companies are planning to introduce KAIZEN within their organization. With companies hiring KAIZEN professionals more than ever, there is no dearth of jobs available with some of the best companies. Many qualified KAIZEN professionals that also have extensive experience also have the option of opening their own consultancies. You can enroll in Brainmeasures online KAIZEN MANAGEMENT course any time of year and you can complete your course within one year of your enrolment. You will get access to your course as soon as your payment is processed. Testimonials of Brainmeasures Certified KAIZEN Professionals. Where certified Brainmeasures KAIZEN professionals are working. This course is basically composed for the young professionals from any discipline like engineering, management, enterprise resource planning, or software development who want to learn about the six sigma methodology and prepare for six sigma black belt certification. Why Brainmeasures Kaizen course available at such reasonable price? 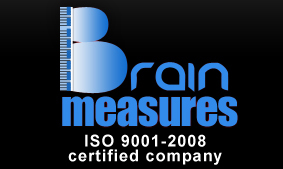 Brainmeasures (an ISO 9001-2008 certified company) offers its kaizencourse material (leading to certification exam ) developed by expert managers at very affordable price only for limited time span and soon its prices will be reviewed. • What Do You Need to Know to Fully Understand How to Do Kaizen? • How Will Kaizen Change what you are doing now? • What is the Purpose of Kaizen? • What is the Role of a Kaizen Event? • How Does Kaizen Benefit Your Company? • How Does Kaizen Benefit You? • What is a Kaizen Event? • What are the Key Roles for a Successful Kaizen Event? Our magazine has a lot of work put into it to stay cutting edge and compete with all the fancy websites that’re killing periodicals left and right. So, as it got more complex, our projects got harder and harder to handle. But, I tried the Kaizen project management certification at brainmeasures, and the strategies it’s given me have made it so much less of a daily grind. Our deadlines are killer for the tax calculation software we release, because tax parameters for each state change each year. That’s a lot of stuff to keep track of, and it had my head spinning at times. I love my job, but the stress was a bit much. The Kaizen management course at brainmeasures showed me that it doesn’t have to eb a battle as much as finding a flow. Things have never been better on my team. Our games aren’t that easy to develop. I have to oversee the graphic design teams, of which there are ten, the musicians, writers, programmers, and so many other little niches it’s ridiculous. Our deadlines were being missed at a lot of key points in some projects, and the Kaizen course on brainmeasures showed me what I was missing in tying it all together. If your job is as hair pulling as mine, this course is a must. We have so many projects going at the same time that need to work together, and it’s always been a logistics nightmare expensive in both time and money. But the Kaizen course, with its Zen approach to business and project management really seems to make everything work in parallel, not grind like stripped gears. This is worth a look.